T.S. Eliot, Kate Chopin, William S. Burroughs, Tennessee Williams. These literary giants have two things in common: they lived in St. Louis—then they got the hell out. These days, we're working hard to buck that trend. My part in this? I manage the website and read for River Styx. I help with Observable Readings. I volunteer with StudioSTL, our someday 826 chapter. I bounce between factions and try to make sutures between our small, but somewhat fractured writing community. And I take my role as faithful scene-touter very seriously. It is sometimes my vigilance in pointing out the merits of St. Louis that attracts my favorite people to move here, and it is often my refusal to give in to their whining that makes them stay. As the editor of this collection of St. Louis poets, I tried to keep a balance between the academic and the performative, the novice and the established, the formal and the Freebird. I believe I have selected the best representatives from this urban island, a city that floats on a river that connects my historic hick-town heritage to my chosen hometown and literary family. St. Louis offers two creative writing MFA programs: Washington University in St. Louis and the University of Missouri St. Louis. Both of these universities host sporadic poetry readings, but St. Louis is also home to two regular poetry reading series: The River Styx hosted Readings at Duff's and the Observable Books hosted Observable Readings Series. Both series keep a steady stream of writers parading through our fair city during the school year, and each summer River Styx hosts the Hungry Young Poets Series, featuring upstart poets under 30 who live in within a 100 mile radius of St. Louis. For the performance oriented, we have open mic nights at Venice Café on Monday nights, the Hartford Coffee Company on Friday nights, and the second Saturday of every month at Eternity Vegetarian Deli. Then there are slam poetry competitions at Dressel's Pub Above every Wednesday night and on the second and fourth Wednesday nights at The Red Sea. The St. Louis Poetry Center hosts free poetry workshops in the public library on Delmar on the third Sunday of every month, guest-edited by visiting poets and local poets. And finally, we have our St. Louis-based literary magazines: 52nd City, Boulevard , Delmar, Natural Bridge , and River Styx. If you look really hard, you can probably find some of these fine St. Louis poets any given Saturday night in the downstairs used book section at Left Bank Books, in the upstairs art gallery at Subterranean Books, or in someone's basement with a case of Schlafly and half a dozen friends who hate poetry, but they're none of them plotting their escapes any time soon. 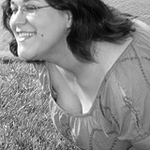 JULIE DILL recently graduated from SIU with her Masters in creative writing. Her work appears or is forthcoming in 52nd City, Sou'wester, the Observable Anthology and elsewhere if your Google-fu is strong. She lives in South St. Louis with her partner Laine and their cat, Pammy Yaber.